A friend of mine who is allergic to wheat once gave me the sage advice to not expect gluten-free things to taste like the gluten-filled counterparts that I am used to. This has proven to be true in most areas but I will say that thankfully it is not always the case. 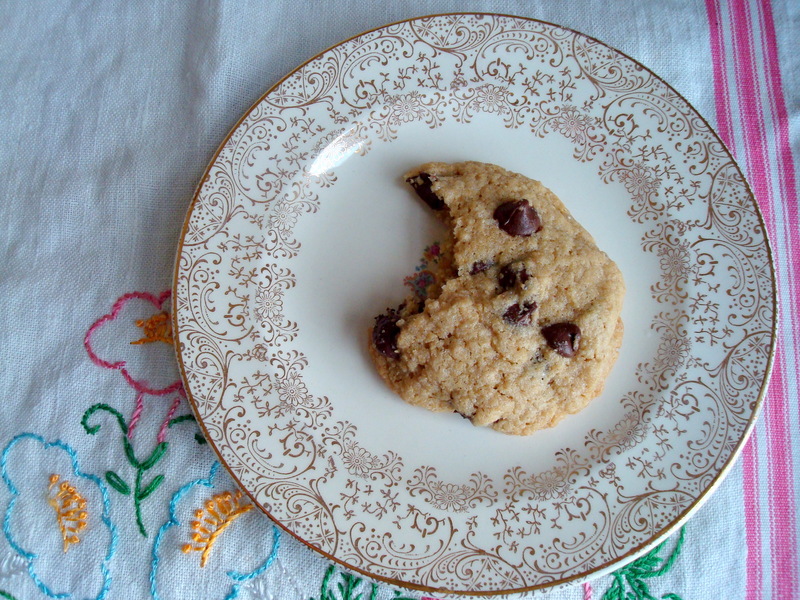 This gluten-free chocolate chip cookie recipe from the “Blackbird Bakery” cookbook is just as good as the Tollhouse version I grew up on. I promise. The main difference is that the dough for these cookies needs to be refrigerated for at least two hours prior to baking. A minor inconvenience for a delicious cookie. Just keep this tidbit in mind should you need to whip up a quick batch! 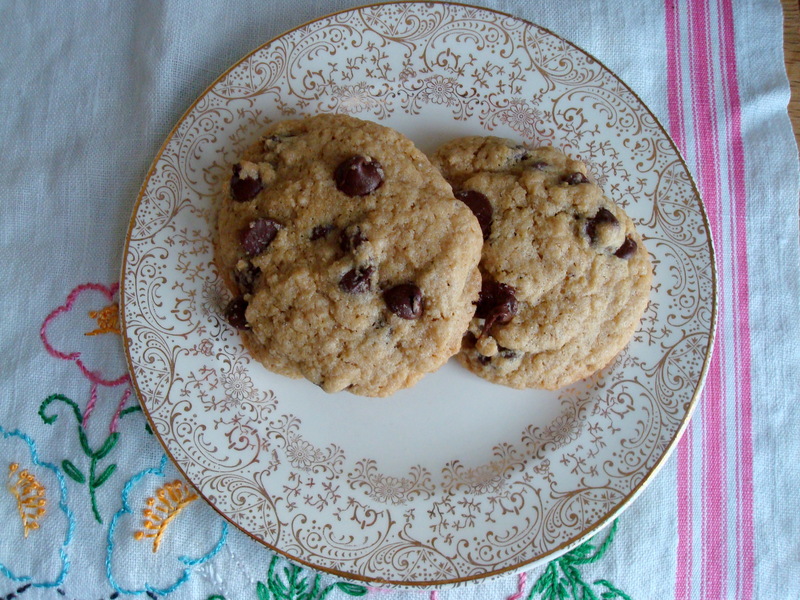 The resulting cookies are moist and rich. I think the greatest compliment that I can give them is that I plan to make them again even after my gluten-free diet is over with. They’re delicious, and I don’t know if this is psychological but I swear I didn’t feel as heavy after eating a couple then I usually do with traditional chocolate chip cookies… so that meant I ate like four in a sitting. No judgement. In a stand mixer fitted with the paddle attachment, combine all the dry ingredients, including the sugars, and mix on low speed to blend. Add the butter and mix on low speed until blended. Add all the eggs at once along with the vanilla and mix on medium-high speed until light and fluffy. 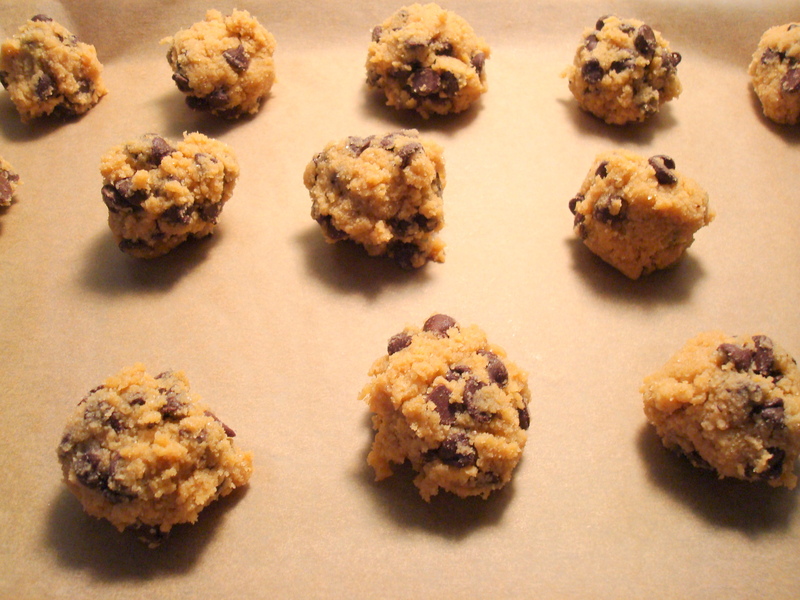 Fold in the chocolate chips until evenly dispersed. Cover and refrigerate for at least 2 hours or up to 2 days. Position an oven rack in the center of the oven. Preheat the oven to 325 degrees F. Line two baking sheets with parchment paper or silicone baking mats. 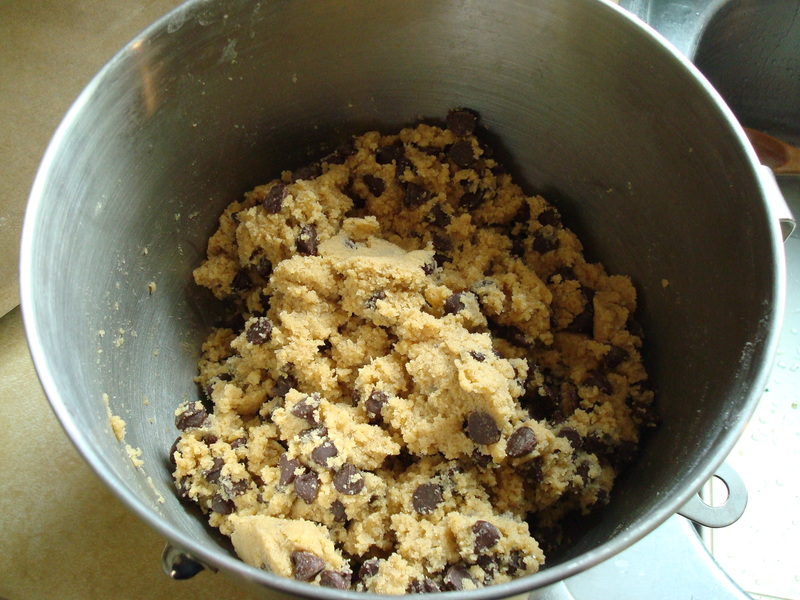 Using a 1 ½ -inch-diameter ice-cream scoop, place mounds of dough 1 ½ inches apart on the prepared pans. Bake one pan at a time for 13 minutes, or until the cookies are lightly browned on the edges, rotating the pan halfway through baking. Remove from the oven and let cool on the pan for 5 minutes; transfer the cookies to wire racks to cool completely.